Adapted from a recipe at apronstringsandpearls. -Preheat oven to 350 degrees Fahrenheit and grease cookie sheet. - In large mixing bowl, cream butter, sugar and lemonade mix until fluffy. - Beat in egg, vanilla, and lemon extract. -Add dry ingredients to the batter, beating until thoroughly combined. 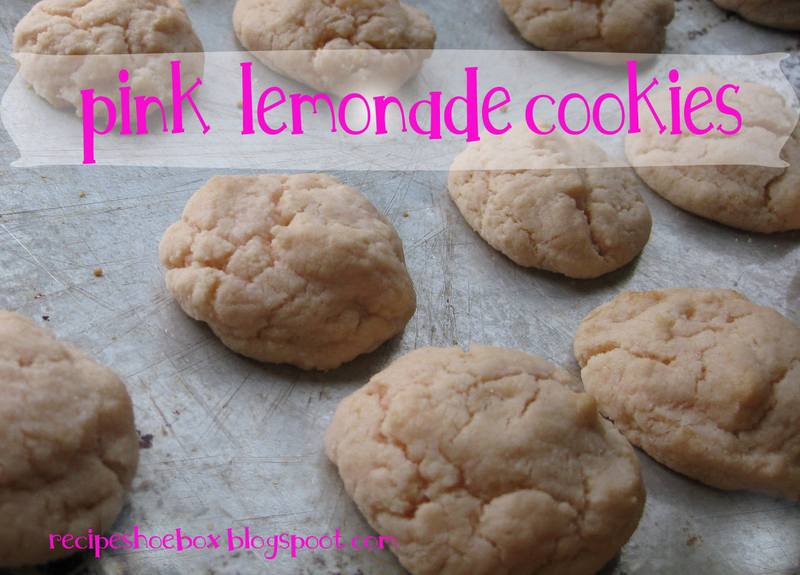 Although I didn't try it, I think these cookies might be really good with a lemony glaze on top.